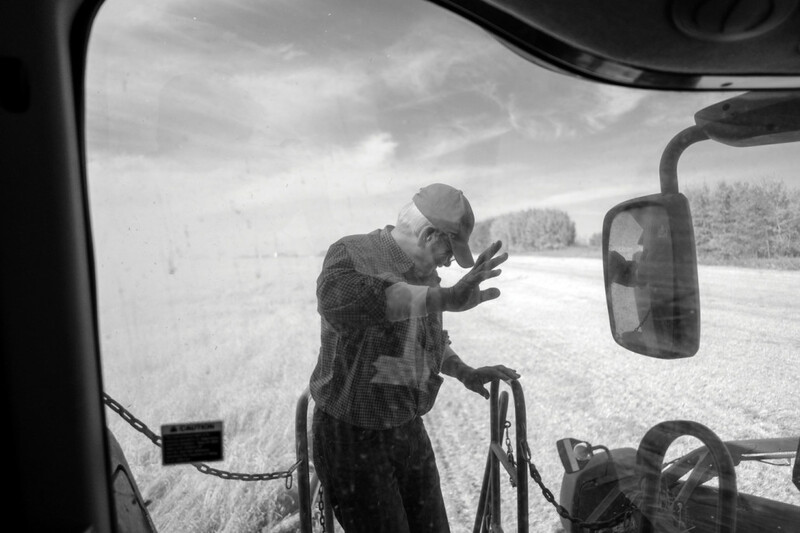 The aim of Funny Farm is to document the happenings and rhythms of two Albertan grain farmers during the fall harvest of 2014. The project draws upon the approaches of lyrical sociology and visual ethnography for theoretical support. 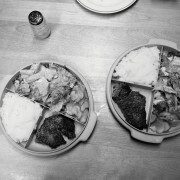 The images are black and white referencing rural rehabilitation, paying homage to early documentary photography and the Farm Security Administration (FSA). 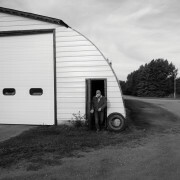 The hope is that this will inevitably lead others to question prevailing stigmas, the viability of grain farming as a profession, and the longevity and elasticity of rural heritage in Canada. 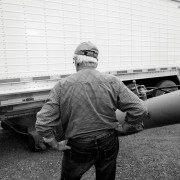 The aim of Funny Farm is to document the happenings and rhythms of two Albertan grain farmers during harvest. 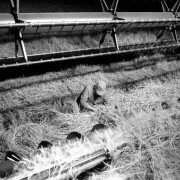 The project follows Clarence and Robb Zeleny (father and son) for five intensive days of harvesting during the fall of 2014. 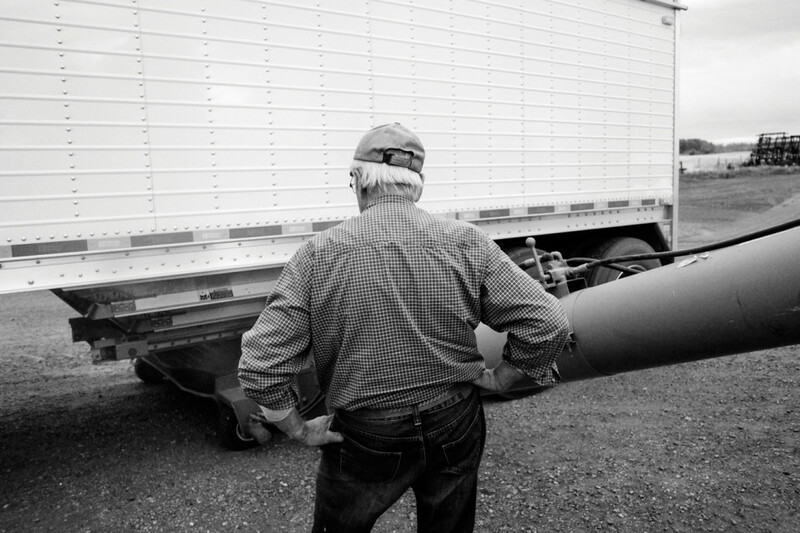 This particular family farm has been operating for generations. 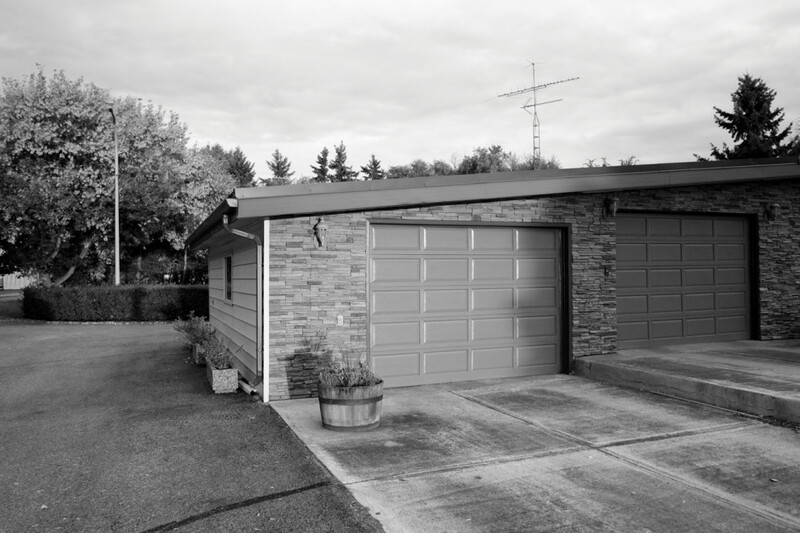 Robb and Clarence have worked together as equals for over twenty-five years. 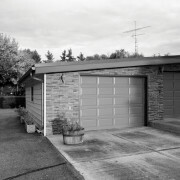 The project is based on familiarity. As the son and grandson of these two farmers I have a vested intimacy with the landscape, machinery and the individuals who make up this particular family farm. 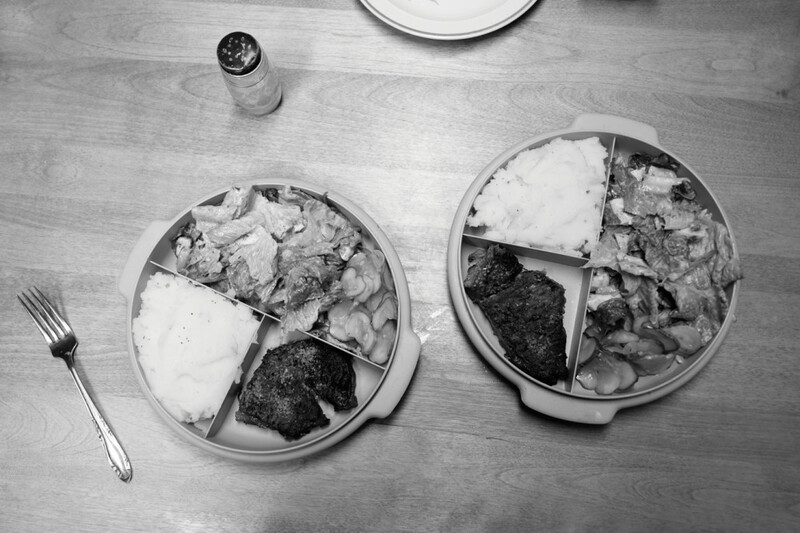 The project draws upon the approaches of lyrical sociology and visual ethnography for theoretical support. 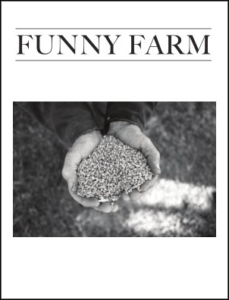 The visuals of Funny Farm act as descriptive agents assisting the researcher in deconstructing family-based agricultural practices at a personal level. 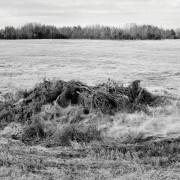 The images are black and white referencing rural rehabilitation and pay homage to the Farm Security Act (FSA) as spearheaded by Roy Stryker. 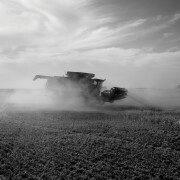 The hope is that this will inevitably lead others to question the stigmas and romantics involved, the viability of grain farming as a profession, and the longevity and elasticity of rural heritage in Canada. I am a child of agriculture, for that reason I like to think farming was in our blood before we ever landed on this continent. The literal translation of ‘Zeleny’ is ‘green’ in a dozen Slavic languages. 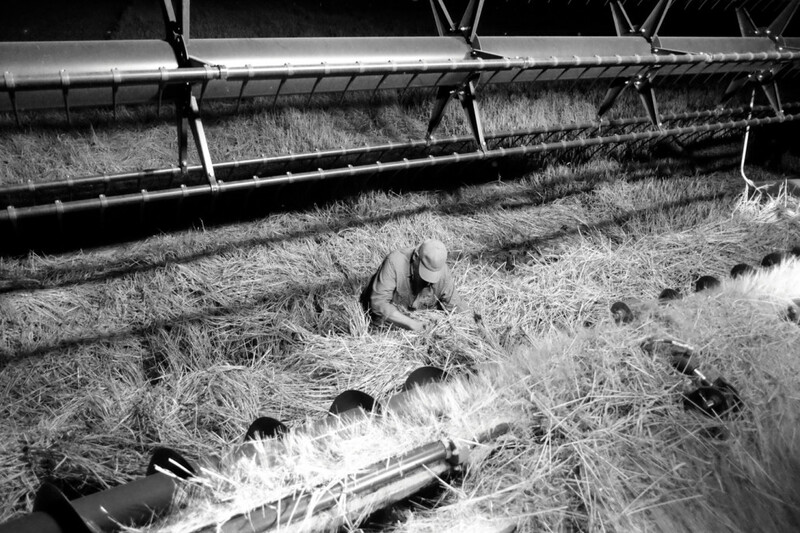 My great-grandfather, my grandfather and my father farmed, and I am the first male in the Zeleny lineage to break this occupational trend. 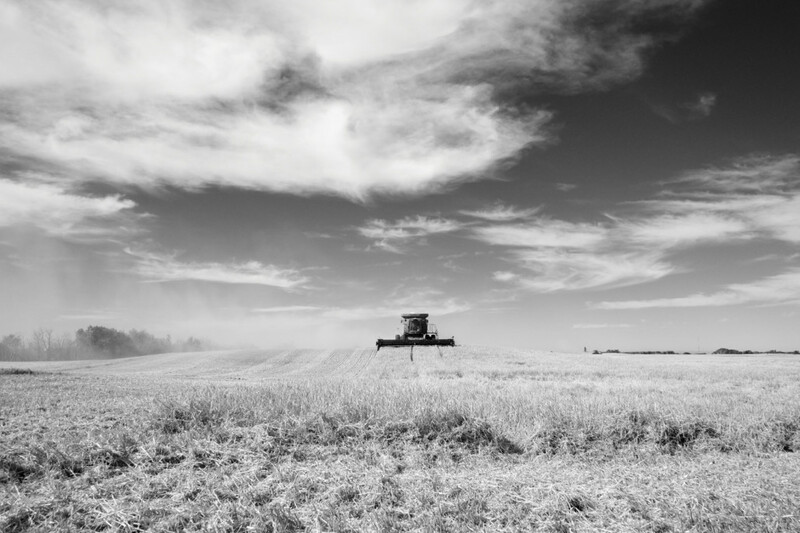 This is an interesting time to be reflecting upon farming as we have entered an era where, paradoxically, family farming is both stigmatized and romanticized. The stigma has been long established. On the continent it is rooted in feudal tradition, a century long push towards urban areas and the prospect of ‘better lives’. Let us get our hands out of the soil. Some will argue that is a mistake. It is not unusual in Alberta to hear people talk about oil as black gold. But oil does not exude the scent of life, nor is it renewable. Soil is the true black gold. 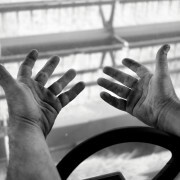 Soil still dirties the farmer’s hands. 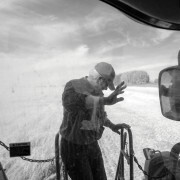 The modern farmer uses GPS, satellite radio and has fridges in his machines, but he must nonetheless grease the wheels, unclog the clogs, and most importantly, place his hands in the soil. 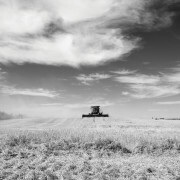 No matter how mechanized the process becomes, the farmer will always toil, build, and break the land with his hands. No matter how technologically advanced the process becomes, the farmer will still move rocks with his hands. The rock is a fearsome concept for the farmer, a formidable enemy, second only to fear of the word ‘breakdowns’. Other things that worry the farmer: ‘too much rain’, ‘not enough rain’, ‘too much heat’, ‘not enough heat’. 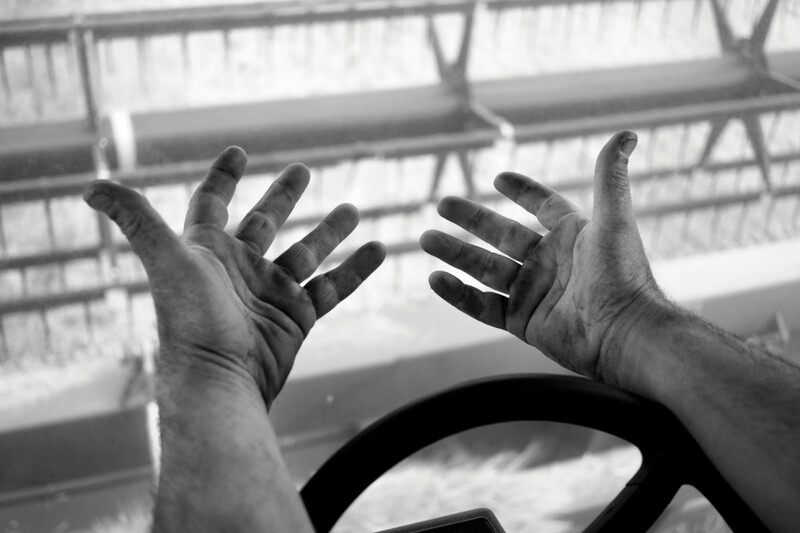 Farming is a balancing act, a fickle game measured in wins and losses. Rain and heat when needed is a win, a drop in the price of wheat is a loss. The costs involved in starting and sustaining an agricultural practice make it a deplorable investment. Some will object, “but the cost of land only goes up” and this is true. However, the required inputs go up and the system requires that you never sell the investment until you either are either too brittle to continue, or you die, at which point you become the gold you toiled over for so long. Few have the startup capital for farming; for every individual that moves into farming another twenty leave. 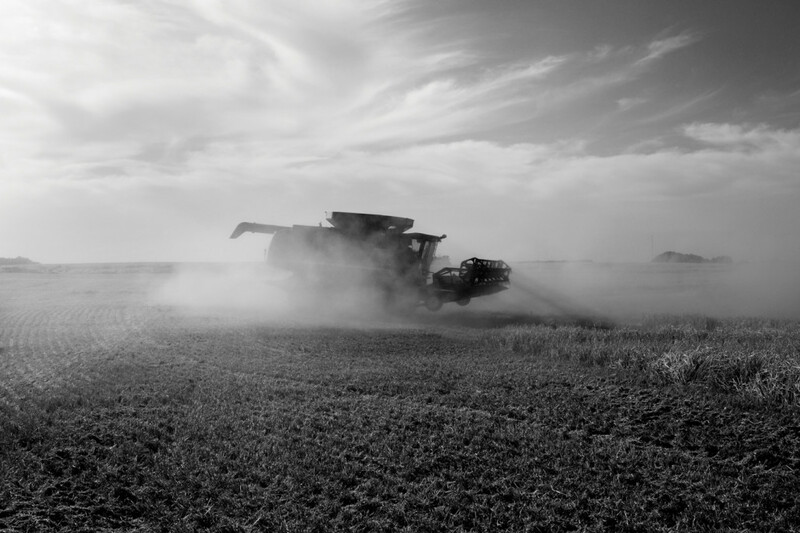 The idea of perpetual growth and economies of scale require that the family farmer acquire more and more land to sustain the operation, yet more land often does not equal more profits for the farmer. 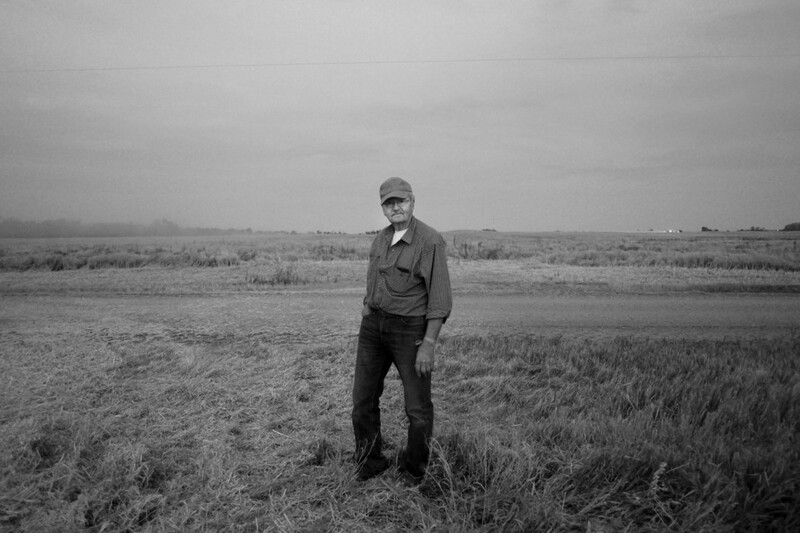 Farmer’s are stigmatized as being uneducated rural folk, but no greater fallacy exists. Being a farmer in the 21st century requires a deep understanding of logical systems, global markets and the futures market. 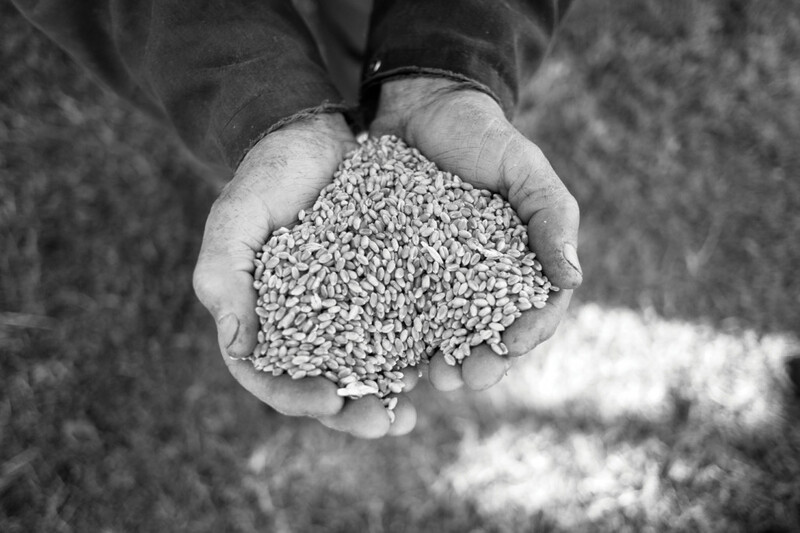 Farmers must know the local economy as much as the global. How much American corn is China predicted to buy in 2015? How will this affect wheat prices in Ukraine? 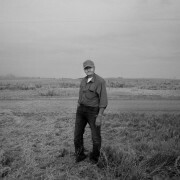 Farmers are a low-ranking component in the global system of exchange. 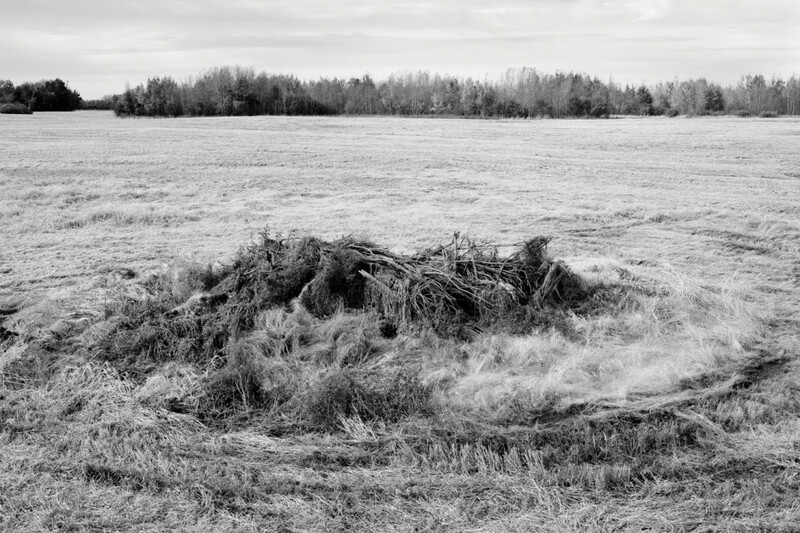 Yet as the tradition of romanticizing pastoral life continues to exist, not all is lost. 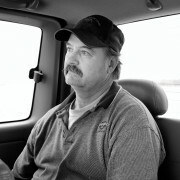 Many individuals are now returning to rural areas to stick their hands back into the black gold. They are searching for simplicity, nothing pointless and excessive, just process and production rooted in the natural world. My father and grandfather are ‘good old boys’, respectable men doing respectable jobs. 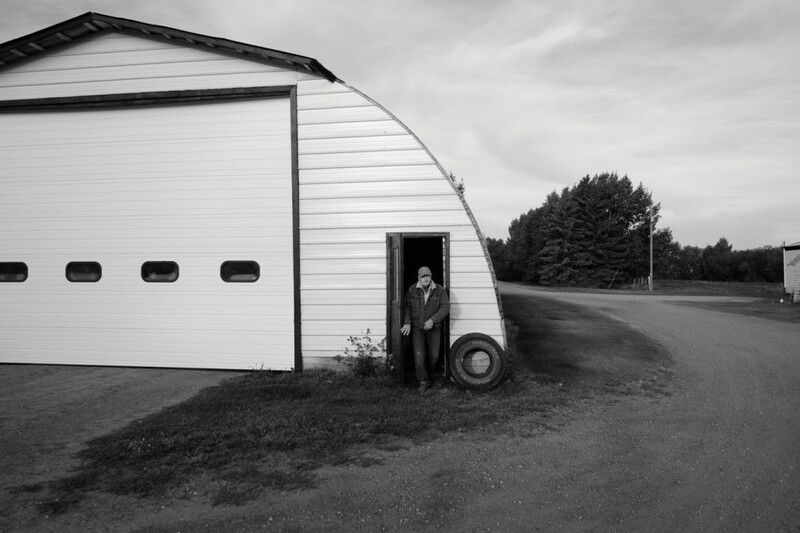 My grandfather explained to me what it was like growing up in rural Canada: “The crops were poor… we were poor”. Yet we are no longer poor, we have gained capital, we have moved up and away from the farms that raised us. And there are those who have returned, perhaps believing that the prairie landscape with its endless horizons can repair the soul. 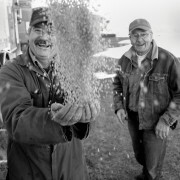 Farmers are content, and generally jovial. They carry themselves with pride. They do not recognize the stigma because they are too grounded in the truth of the profession, the reality of their lives; it is a hard labour that rewards. Robb and Clarence were cheerful; they smiled often and interacted positively with me photographing them. 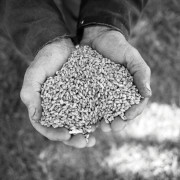 The title of the project comes from one image where I asked my father to hold some grain still. In a moment of spontaneity he decided to joyfully toss it up into the air. I asked him “how much did that cost you, four dollars?” He answered, “ah nah, about a chocolate bar.” An interesting thing about family farming is that it is a labour where you can bring your kids to work, where they can learn and connect with nature and kin. 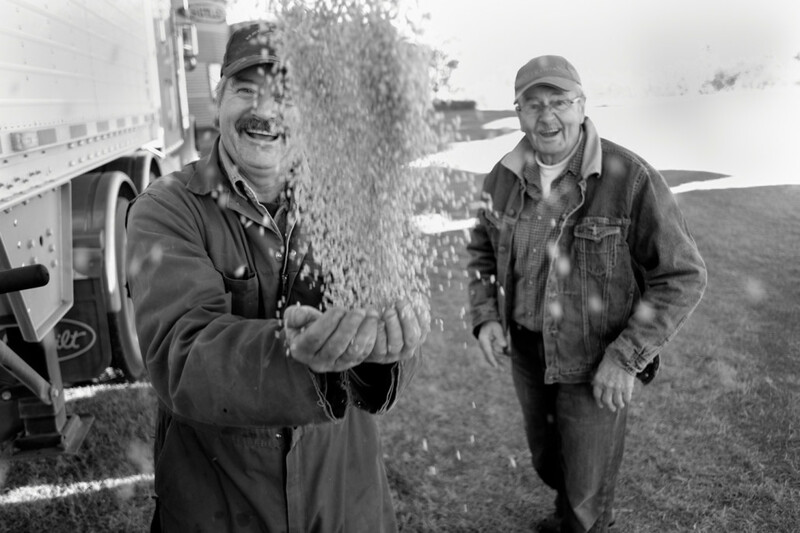 There is something very rewarding in helping your father, and that is the root of family farming for the Zelenys. I asked my father once, why he wanted to be a farmer, his response “I wanted to work for myself and with my dad”. The clearest truths are usually very simple.